The Online Paper Airplane Museum! have placed on the web for your enjoyment! The Mission of the Museum is to inspire everyone to greater heights, no matter what they choose. If this much variation and grace can come from a simple piece of paper, imagine what you can do! Right now we are only online, but perhaps one day in the future, we will have a little place of our own. One of the missions of the Museum is to preserve the many different designs of paper airplanes. so I can duplicate your page and keep it on the web for future generations! airplane books and web sites. Click there to contact me! 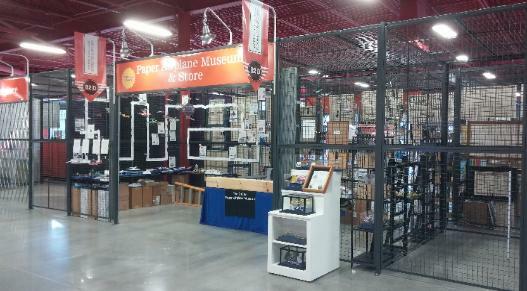 Paper Airplane Museum & Store! Just in case you didn't get a chance to purchase stuff at the store, you can at our Online Store! The Online Paper Airplane Museum?